This Karwa Chauth, amp up your style statement by trying out any of these updo hairstyles! 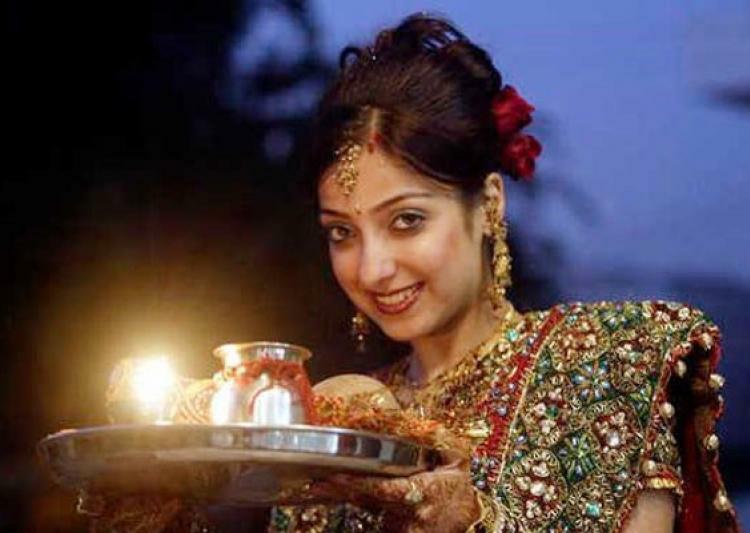 Karwa Chauth is a festival on which every woman wishes to look nothing but the best. Hair is an integral part of a woman’s beauty. After all, it is not for nothing that it is referred to as ‘crowning glory’. A good hairstyle can take your overall look several notches higher. An updo should suit your hair length, texture, face-cut and the occasion. Beauty and looks are not something that are achieved overnight. This is true for hair too. It is important to look after your skin and hair. To prep your hair for Karwa Chauth, it would be a good idea to follow a hair care regime at least two to three weeks in advance. Go for regular hair spas at a reputed salon or use hair packs to improve the quality and texture of hair. Massage your hair with oil – coconut, almond or olive – an hour before washing it. Follow this procedure at least twice a week. Irrespective of the length of your hair, you can create gorgeous up-dos and hairstyles. Read through this tips and look at some images for ideas to try updo hairstyles this Karwa Chauth. 1. Try the soft bob look which has touches of soft Victorian shades added to it, especially when the waves fall onto the right side of the face. 2. Side part your hair and sweep them off to one side, securing all the small hair with bobby pins. 3. Give the illusion of a bun when you blow dry a bob with the ends folded inwards. Make a low ponytail and add a solitary flower into the hair tie or rubber band. 4. Add some retro waves to your side parting – looks very elegant with sarees! 1, Medium length hair can be fuss-free when straightened or smoothed out or clipped artistically to the side using a hair accessory. 2. Go for a chignon! Accessorize it using some flowers or hair accessories to make it look different. 3. Make those fly-aways look chic with messy buns. They look so stylish with every kind of outfit and face style and also make you look younger. 1. Ringlets aren’t for the school and college going lasses alone – they look fantastic with lehengas or anarkalis. 2. Braids give that ever-romantic look. Don’t braid the entire hair and leave some fly-aways for added interest. You can also braid sections of hair differently. 3. Try French braiding the front section of your hair. Part your hair (center or sideways is a personal choice). Now pick up a section of hair from one side, securing the rest of the hair with hair clips for the time being. Now take a thin section of strands from the inside and start braiding it like you make your regular braid. Pick up a thin section of strands with a tail comb from the front, merging it into the braid. Keep picking up small strands one by one, emerging and braiding them together until you’ve reached the side of your head. Now complete the braid without picking up anymore strands and pin it up at the back of your head. 4. Repeat the same on the other side of the parting, pinning up the finished braid, meeting the other braid at the back of your head, leaving the rest of your hair open. 5. A front-puffed bun looks very elegant with sarees and also gives an illusion of height.